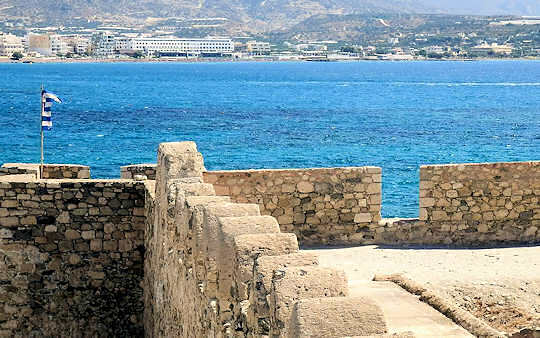 Ierapetra Hotels - the town of Ierapetra or Ιεράπετρα is located on the south coast of Lasithi in the east of Crete, just 36 km from Agios Nikolaos. On this page and throughout our website you will see this budget symbol. Ierapetra Hotels - our suggestions for accommodation in town, at the beach, in the mountains and villas for comfort. 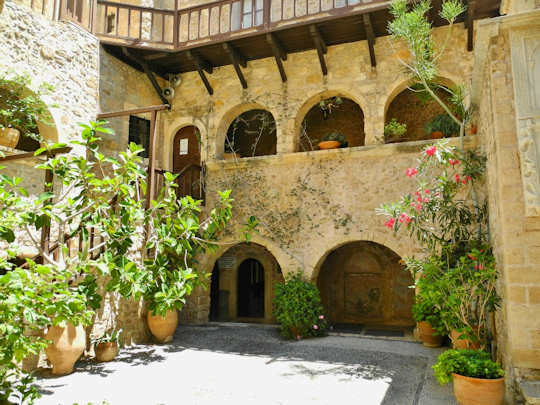 The Cretan Villa Hotel is very central in the town of Ierapetra, close to everything, and yet full of character as it is an old restored home, with natural Cretan stone courtyard and a traditional ambiance. Enjoy friendly service with plenty of tips and local knowledge. 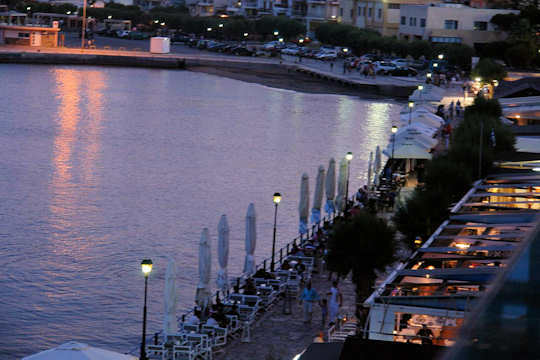 El Greco is a modern hotel right on the seafront near the port at Ierapetra, perfect for stepping out onto the esplanade for a stroll morning, day and evening. No traffic noise and a quiet hotel, wonderful sea views. Villa Plori sits directly on the beach and is perfect for a family holiday, padding back and forth from the sandy shore to your room...at Makrigialos Beach. Convenience stores and a taverna right next door. So comfortable. 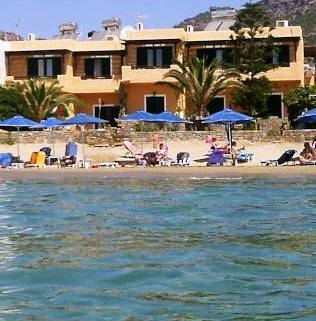 Coriva Beach Hotel and Bungalows has direct beachside access to Koutsounari beach, 34 km to the east of Ierapetra. A really attractive, quality hotel with modern styling and an excellent beachside restaurant and bar. 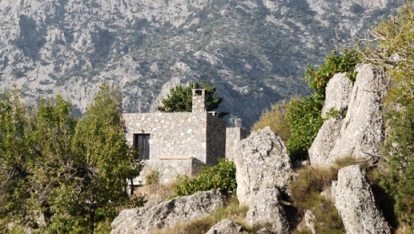 Selekano Forest is 33 km from Ieraptra on the foothills of the Dikti Mountains. Get away from it all in the clean air and wide open spaces, stay at the Pezoulia Mountain Retreat with plenty of privacy, your own wood fire and traditional local food at the taverna. 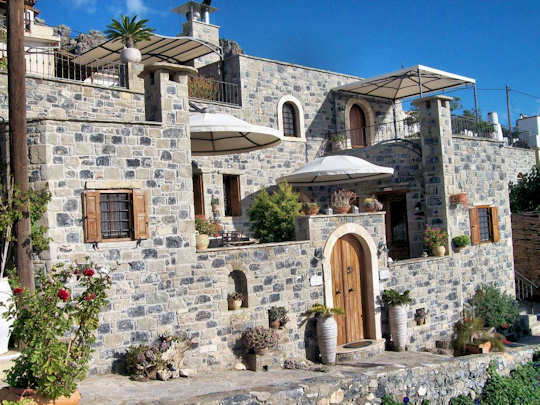 In a small, remote and non-touristic village you will find the exceptional Diktynna Traditional Villas, true Cretan custom and hospitality and tranquility in the mountains. Enjoy views to the sea, 35 minutes to the beach. Carob Villa has three private beaches and allows for secluded beachside charm on its expansive grounds and gardens. With plenty of space for 8 guests in 3 bedrooms and 2 bathrooms, this spacious home provides many outdoor relaxation areas on the 5 acres, all overlooking the crystal waters of the Mediterranean. Located near Agia Fotia, just 8 km from Ierapetra, this is an exquisite villa perfect for a family reunion or special occasion family residence, as there is one other villa available on the same estate. 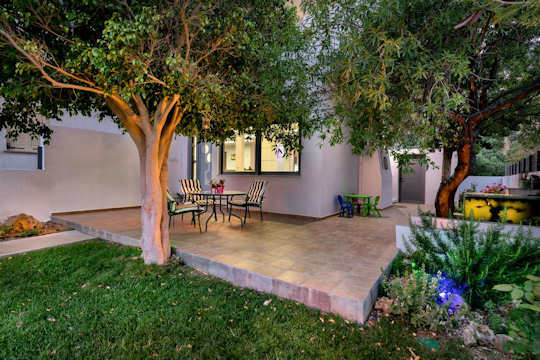 Mayla House is a modern, stylish and comfortable home-away-from-home located in a private garden, in Ferma, 11 km from Ierapetra. Although it is only a 5 minute walk to the beach, it is across the road from the beach. Best to visit with a car to see the many beautiful beaches in the area. With 3 bedrooms and 2 bathrooms, this home sleeps 8 guests in comfort, and all your needs will be met by the attentive host, Mary. 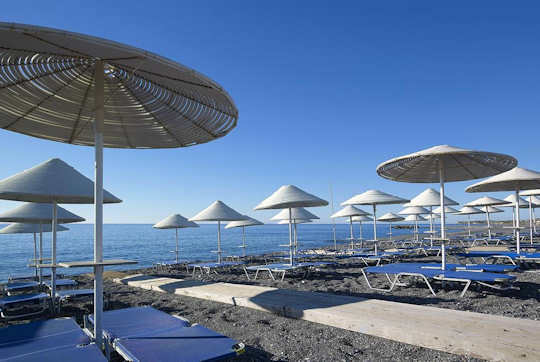 Ierapetra Hotels - surrounded by beaches on the coast and mountains inland, there is plenty to explore in the region, or lots of wide open spaces to enjoy just lazing at the beach, swimming, snorkelling, fishing, kayaking or just snoozing on your beach lounge. 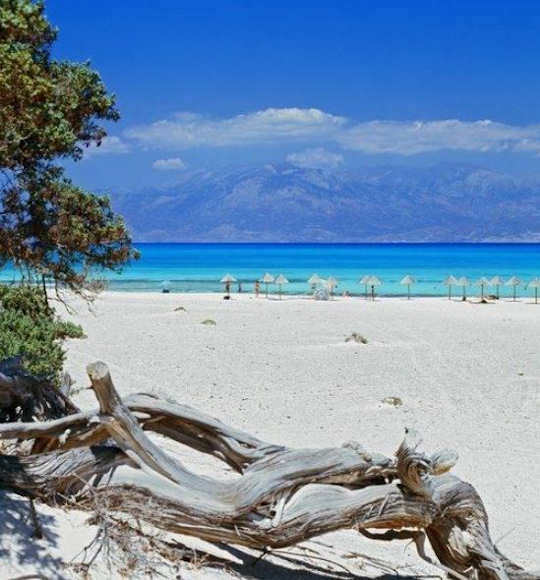 Flights to Crete - to get to Ierapetra it is best to fly into Heraklion Airport and take a hire car or local bus. 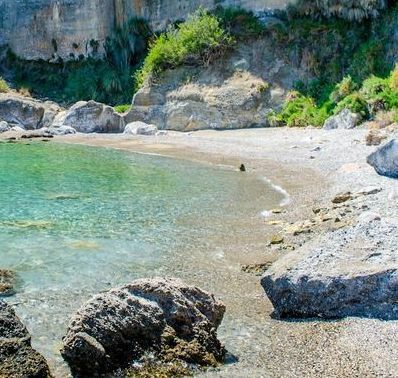 Or connect via Athens, with a connecting flight with duration of 1 hour to Heraklion. 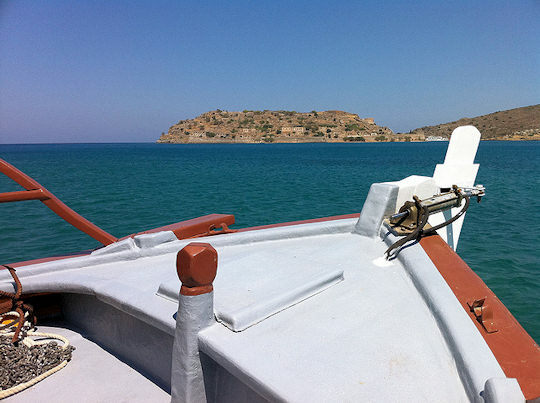 Ferries to Crete - take an overnight ferry from Pireaus, the port of Athens, with a duration of about 9 hours to Heraklion. Ferries run from Santorini (Thira) to Crete into Heraklion port with duration less than 2 hours from May to September. At other times of the year the crossing takes around 6 hours. 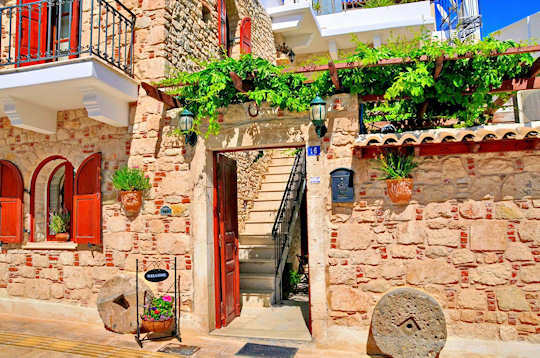 Ierapetra Hotels - taking the KTEL buses around Crete means you can keep costs down. The buses are punctural and reliable and very comfortable and modern. From Heraklion take the bus to Agios Nikolaos then onwards to Ierapetra, at some times there are express buses from Herkalion to Ierapetra. The journey takes 2.5 hours. 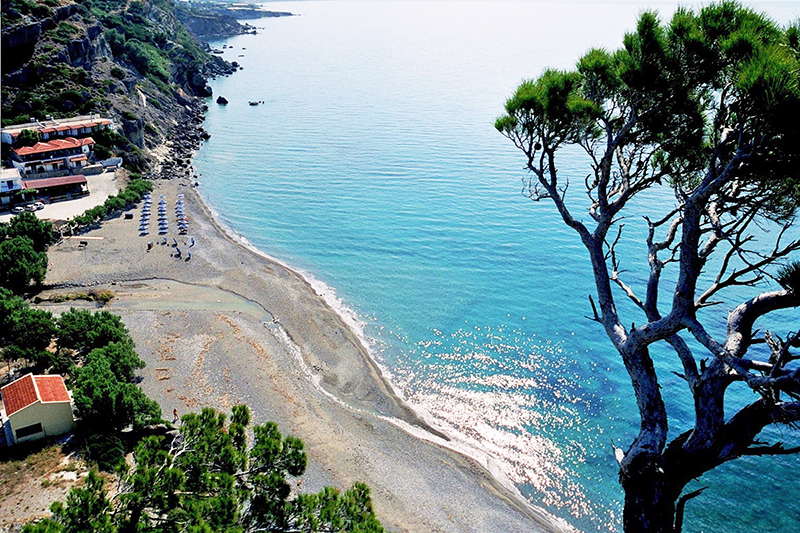 Agia Fotia Beach is 8 km east of Ierapetra. 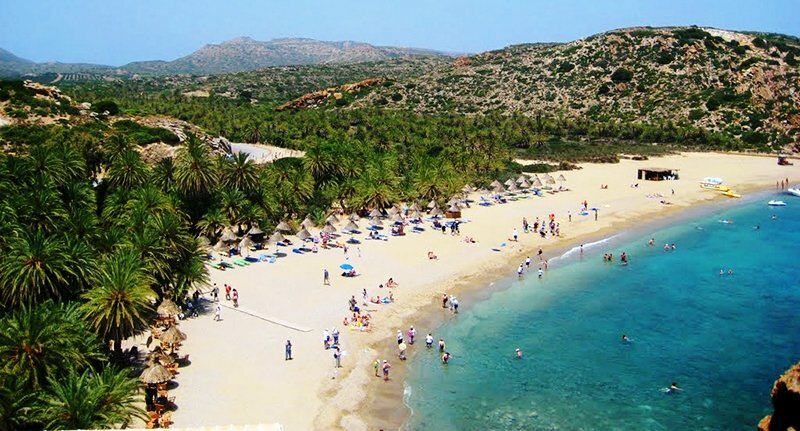 Vai Palm Beach is on the eastern tip of Crete. This extraordinary palm forest is unique in the Mediterranean, adjoining the sandy beach, creating a lush, tropical feel on this very Greek island. 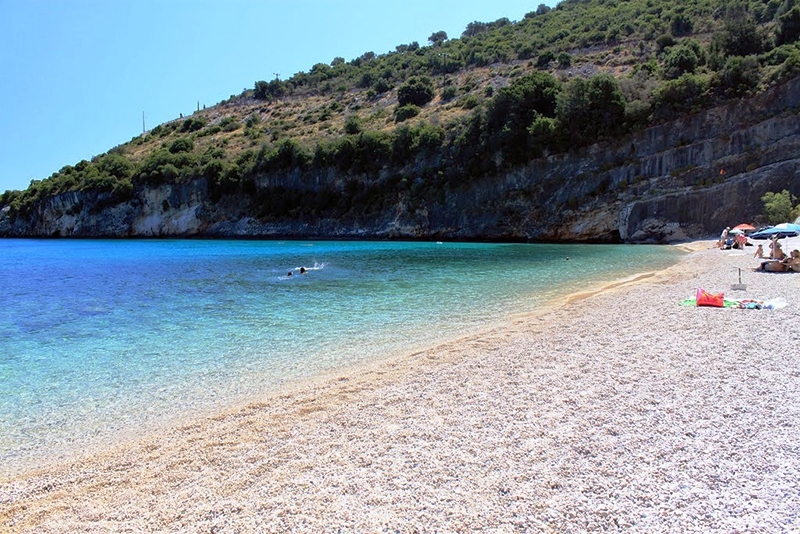 The cruise to Chrissi Island from Ierapetra takes 1 hour, then you have at least 4-5 hours to relax on this pristine, uninhabited island. Inland from Ierapetra is the Bramiana wetlands area created by a man-made lake. 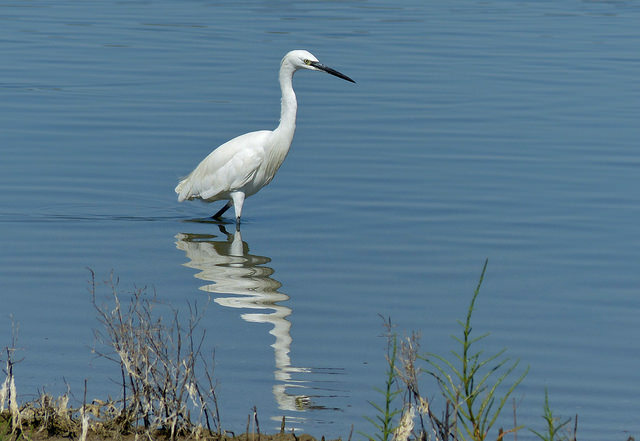 Here water birds can be spotted, like the Little Egret Egretta garzetta (above) and raptors such as the Red-Footed Falcon or Eleanora's Falcon. In this dry area, the water is very important for the local greenhouses and vegetable growers, and now over 200 species of birds call by to the wetlands.